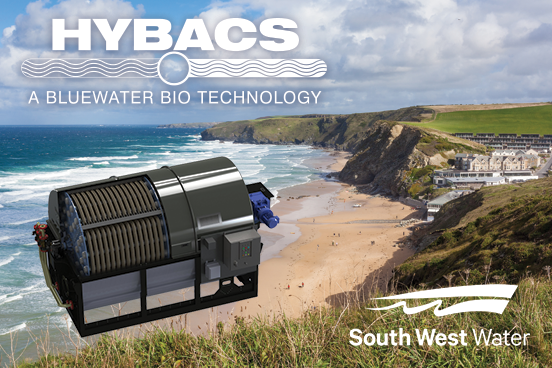 Bluewater Bio Limited, a leading provider of treatment solutions to the water industry, is pleased to announce that South West Water Limited (“SW Water”) has selected Bluewater Bio’s enhanced activated sludge process, HYBACS®, to upgrade Newquay Sewage Treatment Works (STW). The site, which serves Newquay, Crantock and Porth, has a catchment area covering a major tourist destination with popular beaches. Built in the 1990’s, the existing plant treats a resident population equivalent (PE) of approx. 55,000, however during the busy summer months the works can receive an additional 40,000 – 50,000 PE, especially during the busy Boardmasters festival during mid-August. The upgrade at Newquay will include the installation of four SMART™ Units to convert the existing conventional activated sludge process into a HYBACS configuration, BwB’s proprietary – HYBrid ACtivated Sludge – process. By the simple installation of SMART™ units upstream, far greater biological loads can be treated within the existing aeration volume and the seasonal demand increase economically addressed. Furthermore, the rapid settlement characteristics of the HYBACS mixed liquor further alleviates any downstream overloading of the clarifiers. The existing works at Newquay consists of primary settlement, an oxidation ditch with a small selector tank and two final clarifiers. 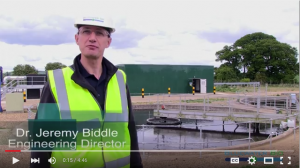 The highly seasonal demand increase is an annual challenge for South West Water’s operations teams where populations can double over a bank holiday weekend. 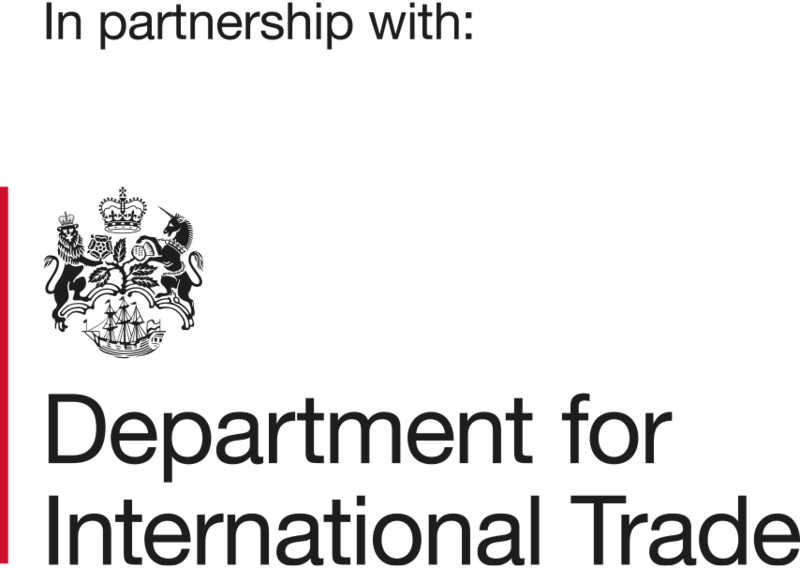 The original works was designed to cater for modest amounts of load fluctuations but preparing a biological process for a rapid change in load remains a significant operational challenge. By addressing the rate limiting biological step, namely Hydrolysis, HYBACS is able to more rapidly respond to these changes than other biological solutions and therefore makes it an ideal solution at Newquay. The SMART units themselves are assembled and tested offsite in accordance with the principles of Design for Manufacture and Assembly (DfMA). This reduces the duration and risks associated with site work and ensures factory quality QA. 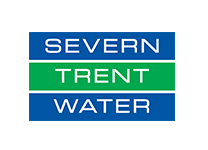 South West Water’s delivery partner Tecker will construct the pumping arrangements in such a manner that the units can be fully installed off-line meaning that treatment process remains fully functional during construction.